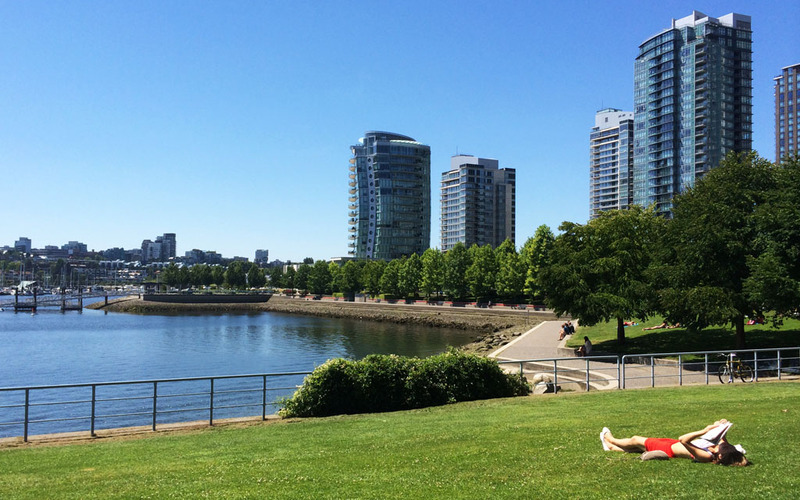 One of the best things about living in Yaletown is its proximity to The Seawall – a 22 kilometre path that lines Vancouver’s waterfront. Fortunately, the path is only about a five minute walk from our place and on a warm summer’s eve, when our little apartment feels like a toaster oven it is the perfect place to be, especially when a cool sea breeze picks up. 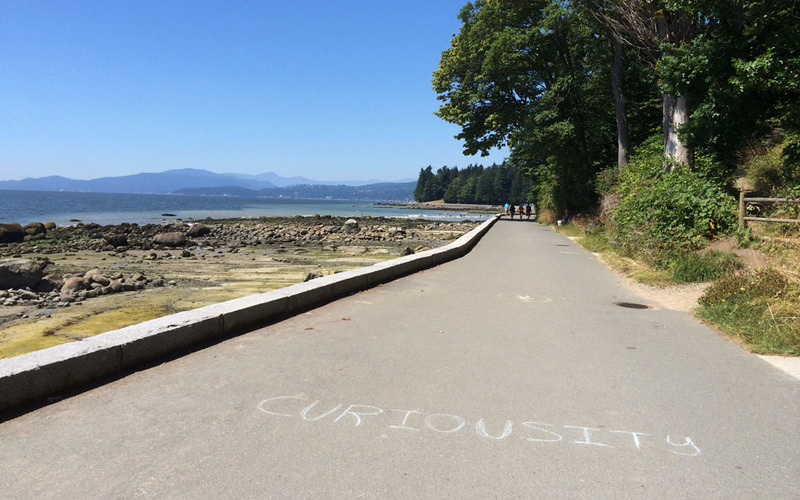 Throughout the day The Seawall track is scattered with walkers, joggers, cyclists, rollerbladers and the occasional flock of geese. It is the most popular recreational spot in the city. And why wouldn’t it be? It’s flat, well maintained and has two dedicated lanes, one for walkers and the other for riders, while offering stunning coastal vistas at every turn. The Seawall in its entirety stretches from the northern downtown area along the Burrard Inlet, around Coal Harbour and Stanley Park, eastward along False Creek and then westward past Granville Island, but the section of The Seawall that I’m specifically referring to is the stretch that passes along False Creek towards Stanley Park. Setting off from Yaletown, this particular span is about 4km’s in total and features spectacular views, beaches, parks and bays. It is an incredibly beautiful stroll in the great outdoors, where the sky and sea meet, fresh coastal air fills the lungs, and mountain peaks (still with snow on top) encompass the city. For me, walking past the boats moored along False Creek and around the sandy shores of Sunset Beach and English Bay are my favourite parts of the walk. Aside from being lovely to look at the beaches offer a place to rest and swim, while at the same time provide a great opportunity to people watch (a favourite past time of mine). 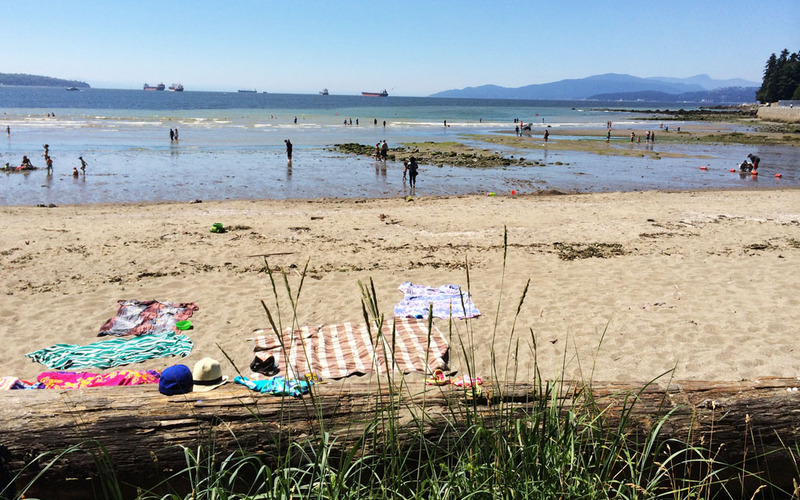 During the warmer months English Bay Beach is a flurry of activity; people play volleyball, catch frisbees and enjoy picnics, while others simply lay sunning themselves on the sand. It’s all rather Sydney-esque. Speaking of Sydney, if I was to liken the walk along The Seawall with a similar walk back home, I would say that it’s a cross between the harbour side Bay Run and the Bondi to Bronte walk (without the hilly incline). While my usual walk takes me into Stanley Park, I must admit that I am yet to follow The Seawall all the way around. Terrible I know as Nick and I have been in Vancouver for two months now, but once I do I am certain I’m going to discover another stunningly beautiful patch of this city. 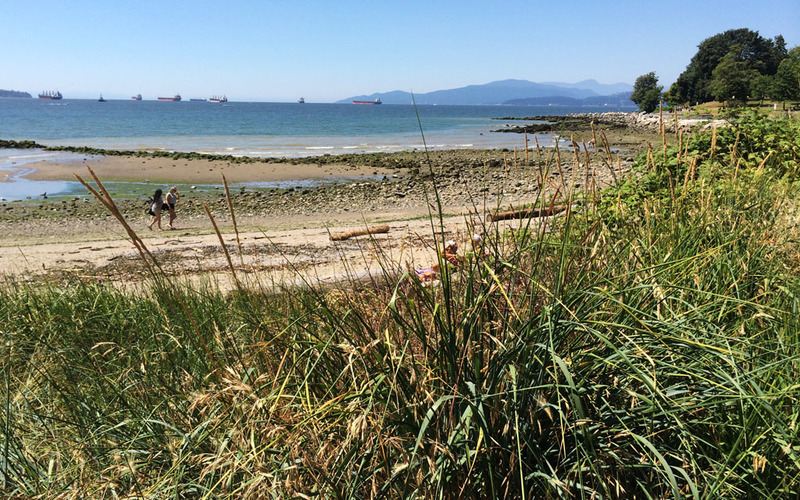 Vancouver has so many great qualities but being shrouded by nature has got to top the list. I absolutely love the fact that the city is surrounded by water and soaring mountains, and that The Seawall (the gateway to it all) is practically right on our doorstep, an accessibility that I will be forever grateful for. 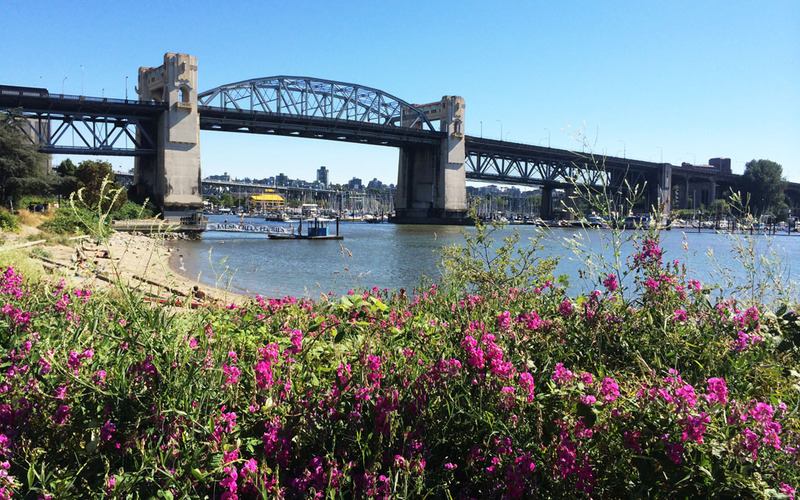 A stroll along The Seawall is a great way to explore Vancouver and admire the city’s gorgeous surrounds. So if you’re ever in the area I highly recommend tackling part of The Seawall on foot, or if you’d prefer on bike. Either way prepare for some truly magnificent scenery. 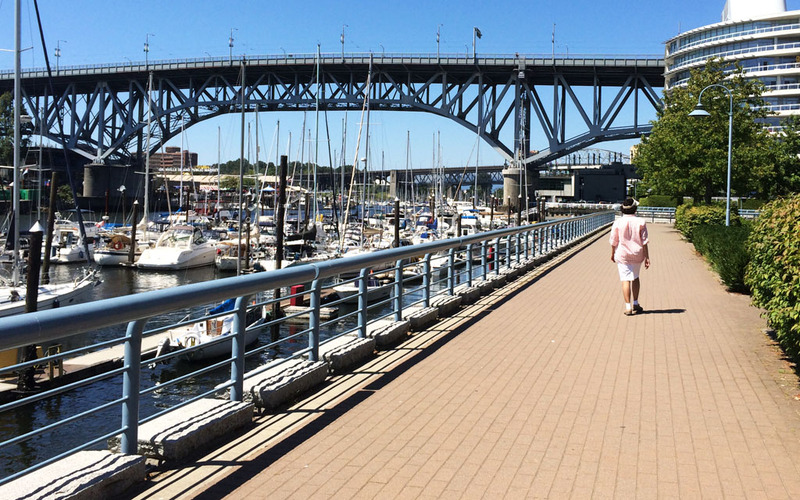 A 22 kilometre path that lines Vancouver's waterfront. Note: only False Creek section detailed on map.